Germany initiated Fall Gelb on the evening prior to and the night of 10 May. During the late evening of 9 May, German forces occupied Luxembourg. 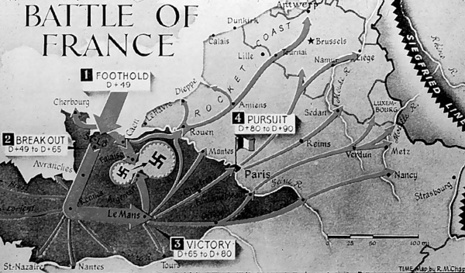 Army Group B launched its (feint) offensive during the night into the Netherlands and Belgium. Fallschirmjäger (paratroopers) from the 7th Flieger and 22. Luftlande Infanterie-Division under Kurt Student executed that morning surprise landings at The Hague, on the road to Rotterdam and against the Belgian fort at Eben-Emael in order to facilitate Army Group B's advance. The French command reacted immediately, sending its First Army Group north in accordance with Plan D. This move committed their best forces, diminished their fighting power through loss of readiness and their mobility through lack of fuel. That evening the French Seventh Army crossed the Dutch border, only to find the Dutch already in full retreat. The French and British air command were less effective than their commanders had anticipated, and the Luftwaffe quickly gained air superiority, depriving the Allies of key reconnaissance abilities and disrupting Allied communications and coordination. On May 10, 1940, when the Nazi German armies started their campaign in the West, they poured through Luxembourg in their rush against France. The night prior to the German invasion, the Grand-Ducal family and the cabinet left Luxembourg and went into exile first to the U.S. and Canada, later to London, U.K. at the very site of Luxembourg's embassy to date. 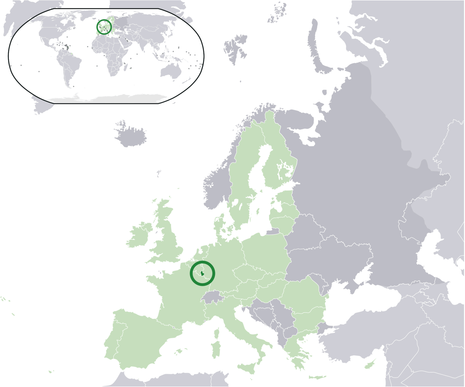 Since Luxembourg strictly stuck to its neutrality, no armed resistance was initially opposed to the aggressor, who overran the small country in less than a day. During the Western campaign, and until the capitulation of France, German military troops and logistics were channeled through Luxembourg, martial law having once again been imposed on the population.